Last week we spent lots of time talking about fictional superheroes and identifying their strengths, skills and purpose. We realised that there are lots of other types of superheroes too, and they don't all wear capes! In fact, we can be everyday superheroes by helping others, being good at what we do, trying hard or having a special skill. 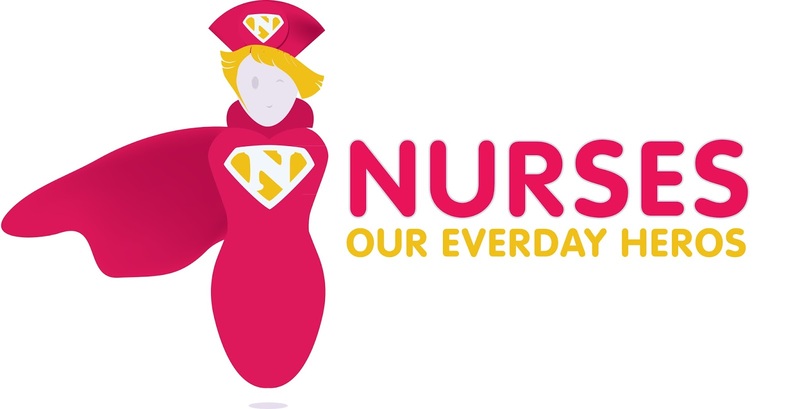 We thought about the everyday superheroes in our community - nurses and doctors, army soldiers, fire fighters, police, ambulance staff and more. 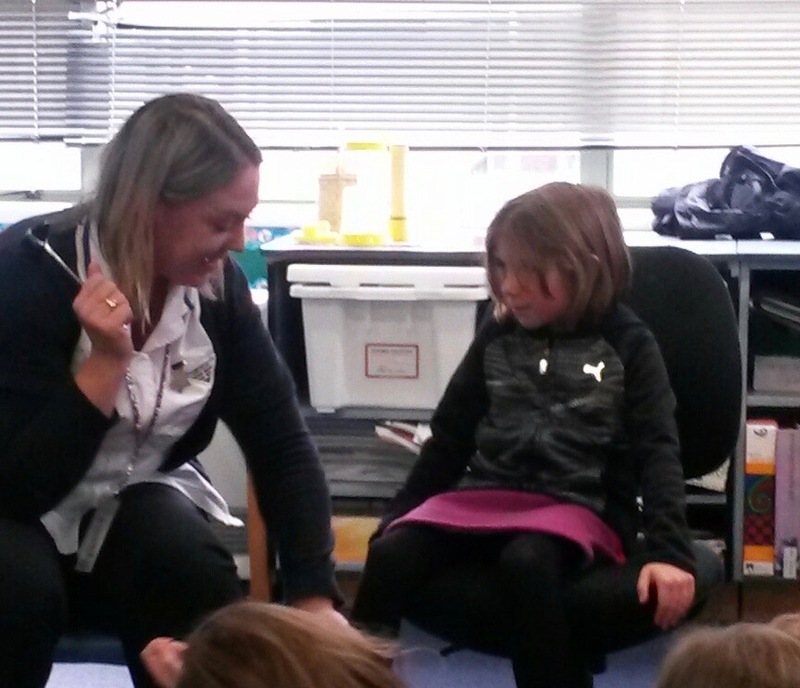 This Tuesday, we were very happy to have Riley's mum Debbie come and visit. Debbie is a nurse in the children's outpatients department at our local hospital. She told us that there are approximately 1000 nurses who work there. That's a lot of nurses. We asked about some of things she does during the day. 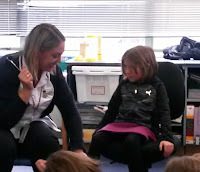 Debbie told us she measures weight, height, blood pressure (how hard the blood is pumping through your body), temperature (using a thermometer), listen to your lungs and heart (using a stethoscope) and even checks reflexes with a tendon hammer. 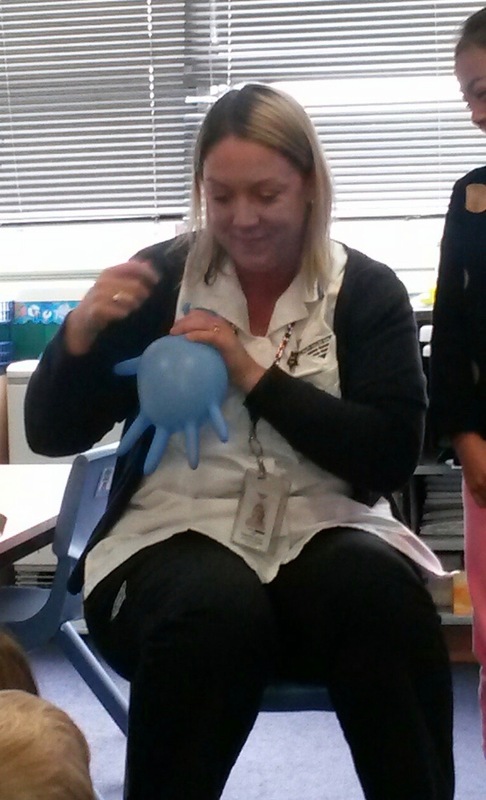 Debbie spoke to us about bugs and germs. She said the best thing we can do to stop bugs spreading was to wash and dry our hands (the drying bit is important). Debbie explained that some germs are good for you though, as they help build your immunity (your body's ability to fight infections). You can also boost your immunity by having immunisations or vaccinations. 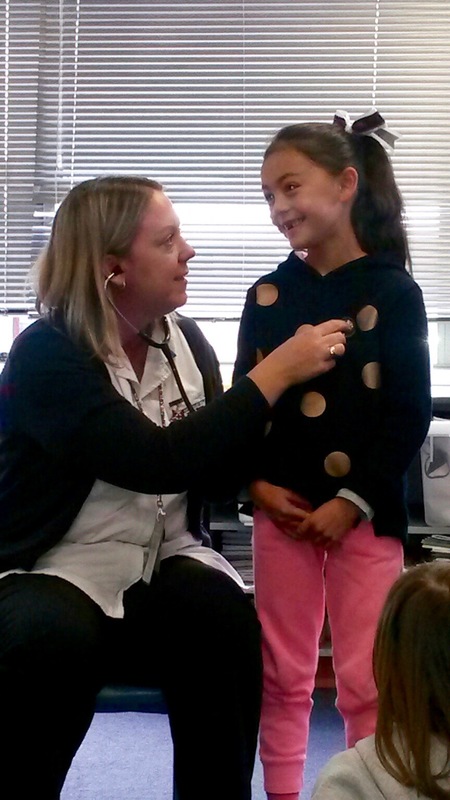 An immunisation tells your body how to fight the bad bugs! 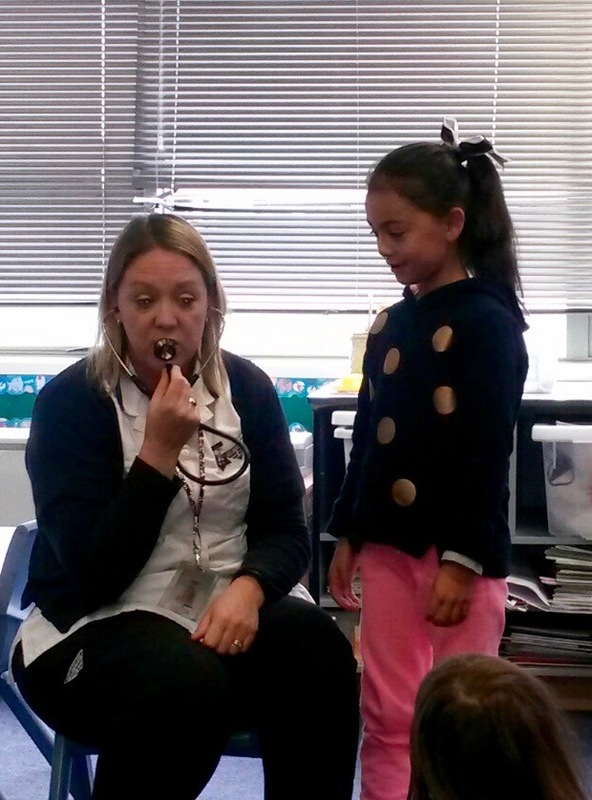 Isobelle asked, "How many patients do you see a day?" Debbie sees up to 30 patients. Nia & Rocco were interested in how casts were removed. Debbie explained that there are different tools that are used including some special blunt scissors with curved ends (so they don't cut skin) and sometimes little electric saws. We wondered how you become a nurse. Debbie studied for 3 years after leaving school to become a nurse. She told us that doctors train for 7 years. Ethan wanted to know what colour blood is when it comes out of the body, as he had heard that it was blue until it was exposed to oxygen. It is in fact always red, often dark red. We learnt so much about nurses today. They really are superheroes in our community. They help us to be healthy and to get better if we are sick or injured.